The committee under the guidance of Anne Bullerjahn will provide food, clothing, books, and toys for needy families for the holiday season. If you will not be able to attend the party, you can mail a check to Anne at 201 North Maple St., BG, OH 43402. 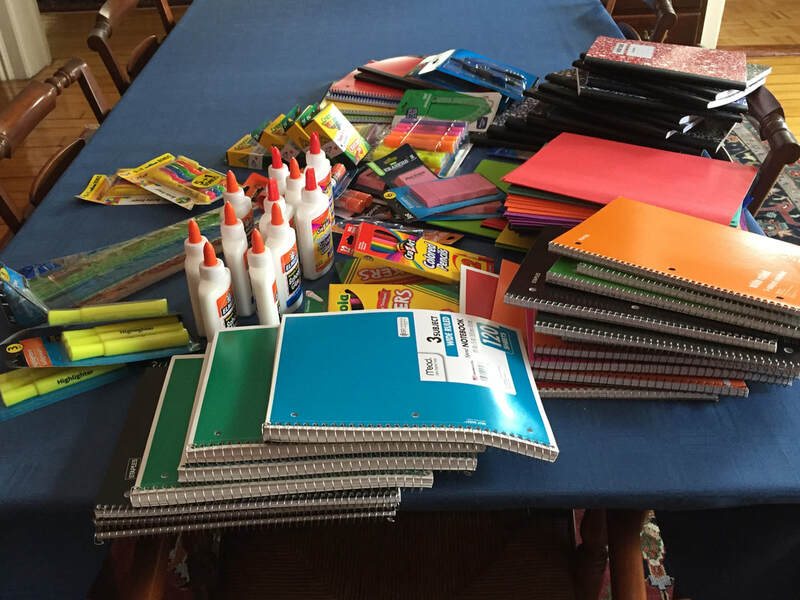 Anne Bullerjahn was contacted by the Salvation Army to ask for help in collecting school supplies for Wood County children in the month of July. Many University Women of BGSU donated items such as these to help out our area students.